This strong knot offers an innovative way of tying tippets or leaders to the main line. Being easy to learn and possessing a low profile it has become hugely popular in a short span of time. It effectively joins a slippery braided line to a monofilament leader. It is excellent in joining different diameters and materials of lines. Tests have shown it to retain close to 100% of the of the line’s breaking strength. It can be tied to shock leaders as well. The blue rope in the diagram signifies the heavier line. The first step involves tying a double overhand knot and pulling it down loosely. It helps if you moisten the knot before tightening. 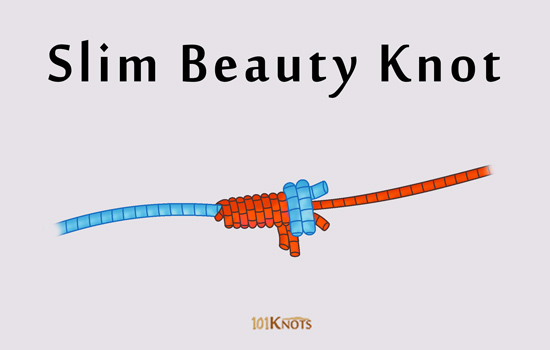 Improved slim beauty knot – Has an extra locking point that eliminates line slippage and increases durability. 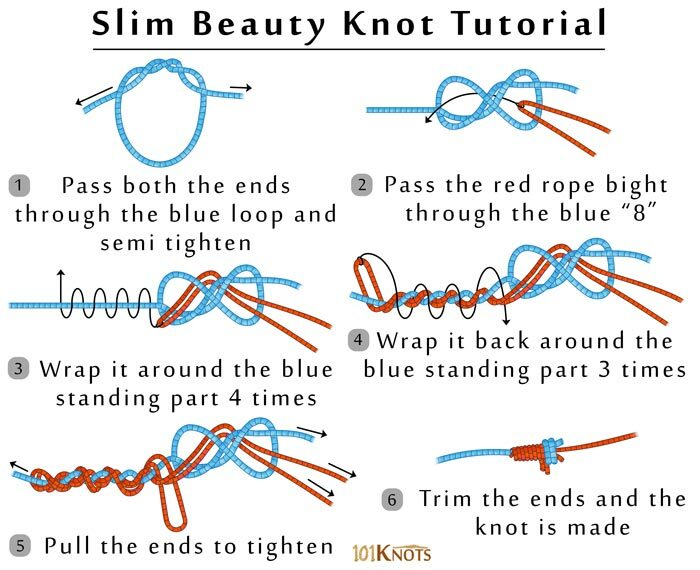 Modified slim beauty knot – Employs a uni knot for the base.